These 16oz. 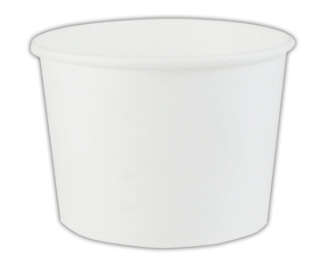 White Paper Ice Cream Cups are perfect for ice cream, frozen yogurt, and gelato. These 16oz. paper ice cream cups are double poly lined for added resilience. Lids sold separately. MyYogurtSupplies.Com has the lowest wholesale prices on frozen yogurt cups!